We’ve been trying to keep sane with the obscene amount of Halloween and Christmas materials we’re prepping for our yearly holiday onslaught. Part of the stress release has been aided by the help of Buckyballs, which we’ve all been enthralled with this week and can’t help but recommend you buy. 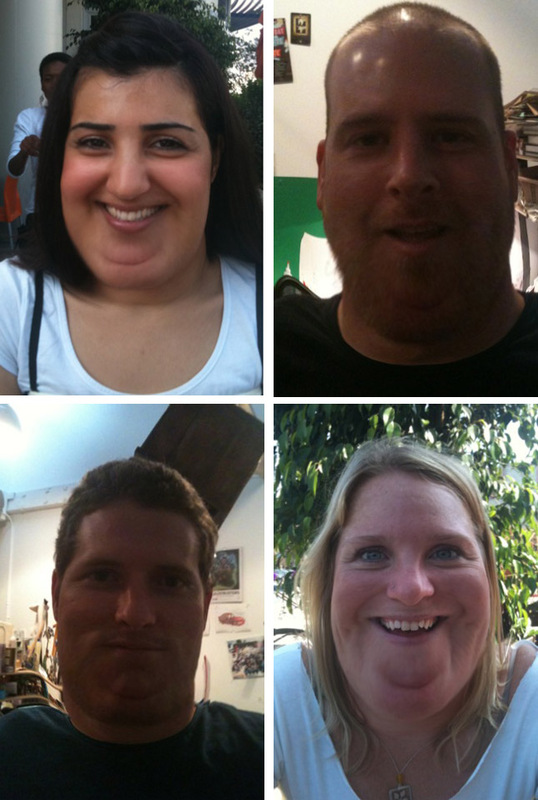 Also on the list is the Fatbooth app for iPhone, which has plumped up a good many of us in the last few days. So if you ever wondered to yourself “how would JibJab kill some time in a situation like this”, you now have the answer. This entry was written by paulhanges and posted on September 22, 2010 at 5:22 pm and filed under Inside JibJab. Bookmark the permalink. Follow any comments here with the RSS feed for this post. Trackbacks are closed, but you can post a comment. that is really funny…these are some BRAVE people .